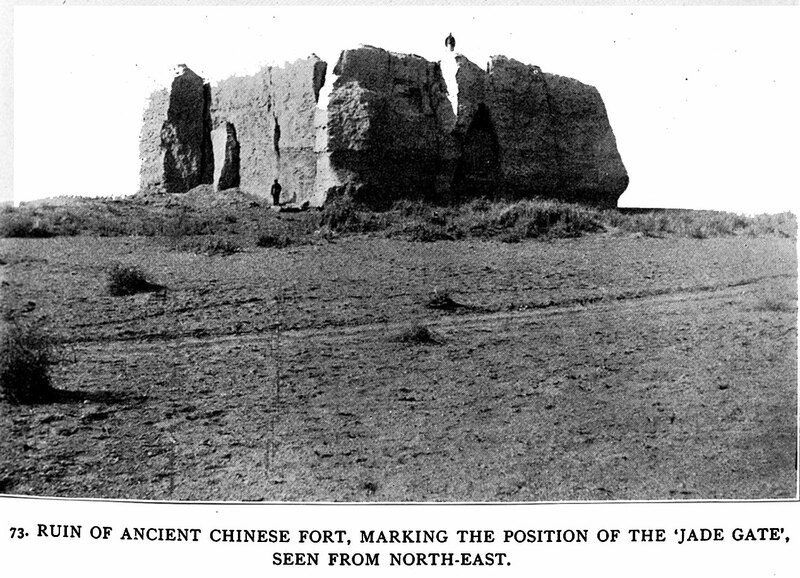 On Central Asian Tracks 73 - Ruin of ancient Chinese fort, marking the position of the ' Jade Gate', seen from north-east - Stein was very interested in finding the location of the 'Jade Gate' noted in ancient Chinese annals. It was the frontier customs post set back from the Han wall. The name came from the most important import - jade - that came from the Khotan area and is still much prized in China. Photos of this building appear in his other reports.